Ecologies of practice, distribution and production (including workshops, funding, the academy, distributors, collectives, co-operatives, galleries, festivals, the art market, television and the internet). Spectatorship (spaces and patterns of reception from museums to micro-cinemas, from festival to home viewing and online). International links, networks and perspectives (in particular encouraging dialogues concerning a non-Western axis). Scholarship then and now (magazines, film journals, educational contexts). What was and what continues to be at stake in contemporary British artists’ moving image culture. 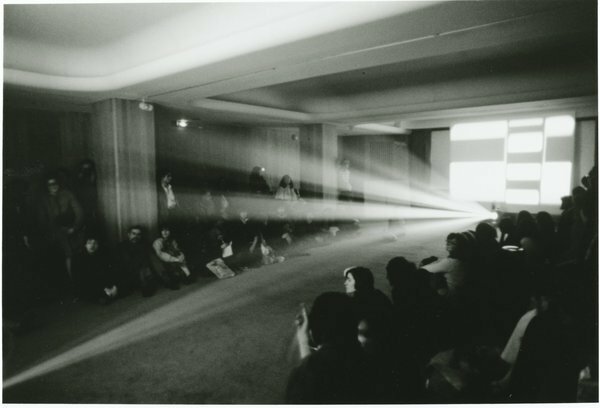 Interplay and tensions between moving image culture and contexts such as artists’ film production and film industry, experimental film and the art world. The dialogues between earlier movements and contemporary practices. Technological shifts and the significance of medium specificity in the digital age. Posit new research and perspectives on figures and contexts overlooked or under-represented. Dissect and examine existing canonical representations of key figures and contexts.